Ms. Sheena Thompson is the principal of First Resource Consulting. She is an experienced HR professional, certified facilitator and mediator. Sheena is a former Director of Human Resources for Cayman Airways and HR Manager for law firm, Mourant Ozannes. 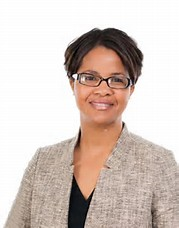 She currently serves as a Deputy Chairperson for the Cayman Islands Labour Tribunal and is a former member of the CINICO Board of Directors as well as former Board Secretary for the Cayman Islands Society of HR Professionals. Ms. Thompson served as a Member from 1 March 2017 until 31 March 2019.